Ministers have announced plans to give people with hidden disabilities, citing examples such as dementia and autism, greater access to blue badges. The Department for Transport (DfT) said the proposals would herald the most significant changes since the blue badge was introduced in 1970. The government department does not give a specific list of non-physical conditions that could be included in the scheme but seeks to 'broaden the qualifying criteria to include people who experience difficulties other than walking and need assistance'. iv follow the route of any journey without another person, assistance animal or orientation aid. It said expanding access to the scheme would help remove barriers to travel for people with hidden disabilities, allowing them better access to work, shops and amenities and increasing parity between physical and mental health. Transport minister Jesse Norman said: ‘Blue badges give people with disabilities the freedom to get jobs, see friends or go to the shops with as much ease as possible. About 2.4 million disabled people in England currently have a blue badge, allowing them to park on roads without charge and normally without time limit. The DfT said councils have different interpretations of the existing rules with some recognising hidden disabilities, but the changes proposed would give a clear and consistent guidelines for the whole of England. 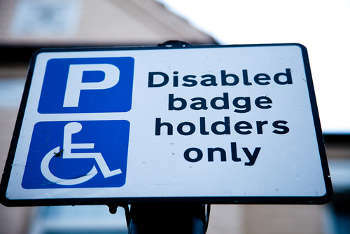 The proposed changes could also see a variety of healthcare professionals, 'who are better placed to identify if mental health causes mobility issues', carry out assessments to determine if a blue badge should be given. Sarah Lambert, head of policy at the National Autistic Society, said the proposal could see many more autistic people qualifying for a blue badge, ‘which can be a lifeline’. She said: ‘There are an estimated 700,000 autistic people in the UK and whilst every person on the autism spectrum is different, for some, not being able to park in a predictable place close to a destination can cause a great deal of anxiety and put their safety at risk. A consultation on the proposals will last eight weeks.